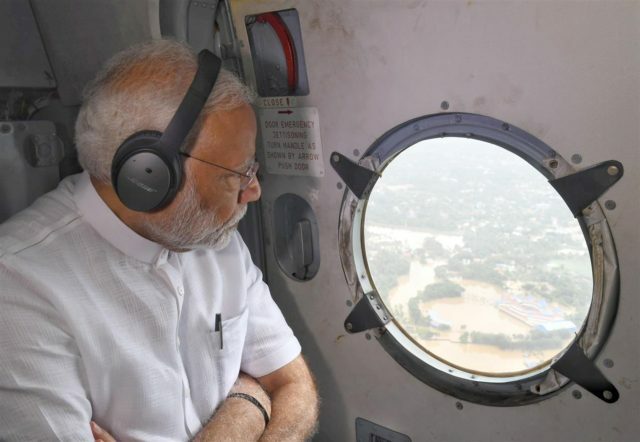 New Delhi: The Prime Minister visited Kerala to review the situation arising out of floods in the State. After a review meeting, he made an aerial assessment of the damages caused due to floods in some of the affected areas of the State, as permitted by weather conditions. During the aerial survey, the Prime Minister was accompanied by the Governor, the Chief Minister, Shri K.J. Alphons (Union Minister of State) and officials.